6-Week Session: starts week of October 16. No Classes week of Oct 30 and week of Nov 20. 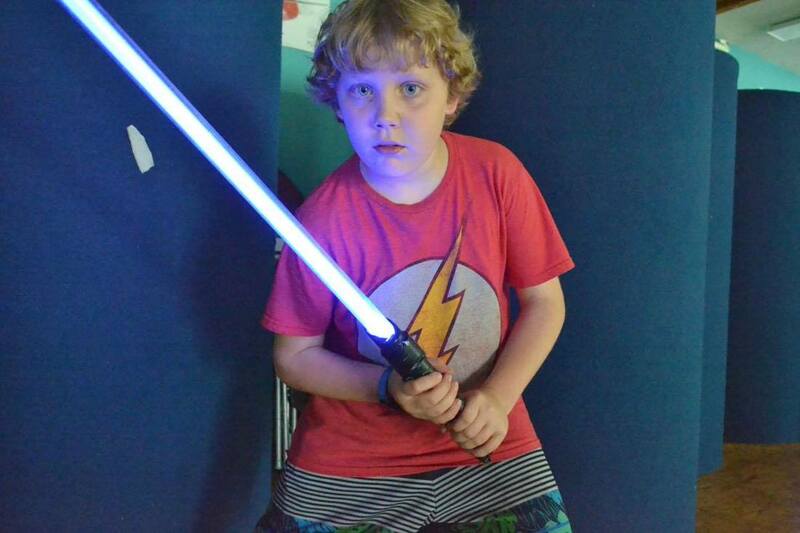 Tuition: $128 per class/6 week session includes custom light sword(pictured below). 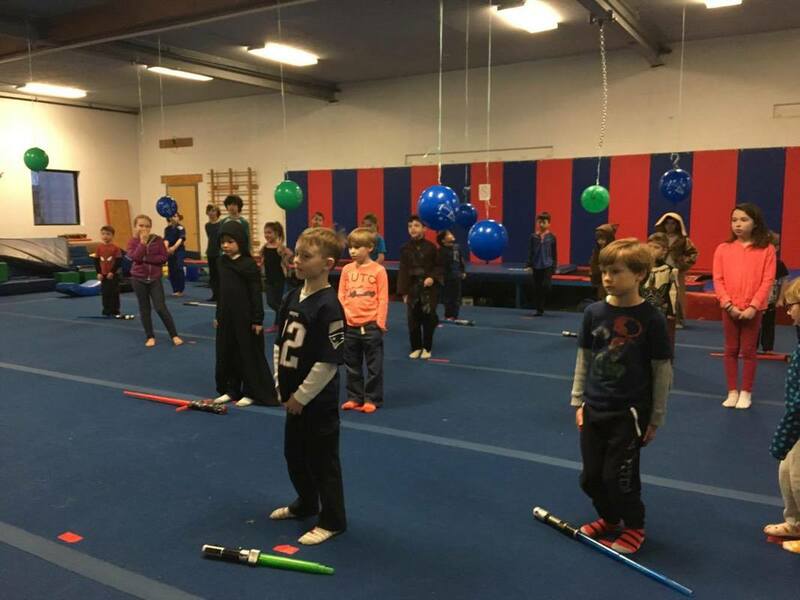 Class Description: In this light sword class, students will learn how to wield a sword. Students will learns skills in striking, blocking and sword-to-sword technique. Light sword skills will also incorporate other Wushu skills such as kicks, tumbling and various ground techniques. 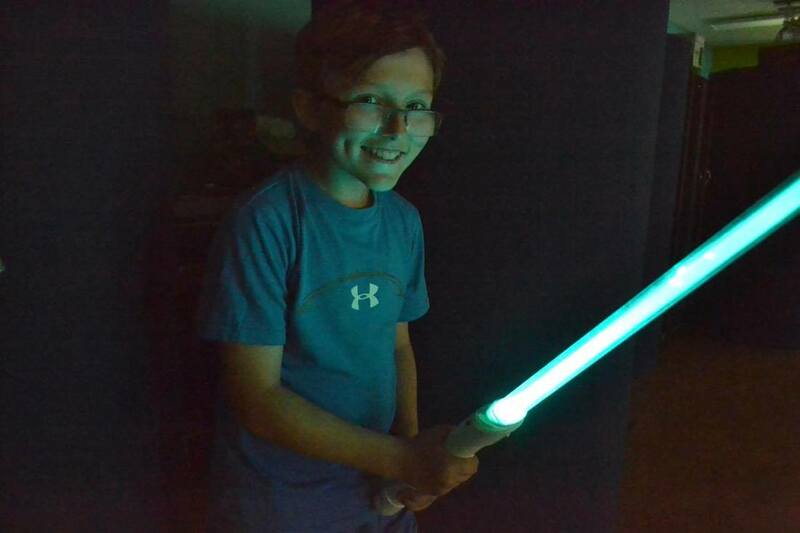 Students will be assisted in selecting/customizing/building their own duel ready light sword for cool sword fighting effects in the dark! 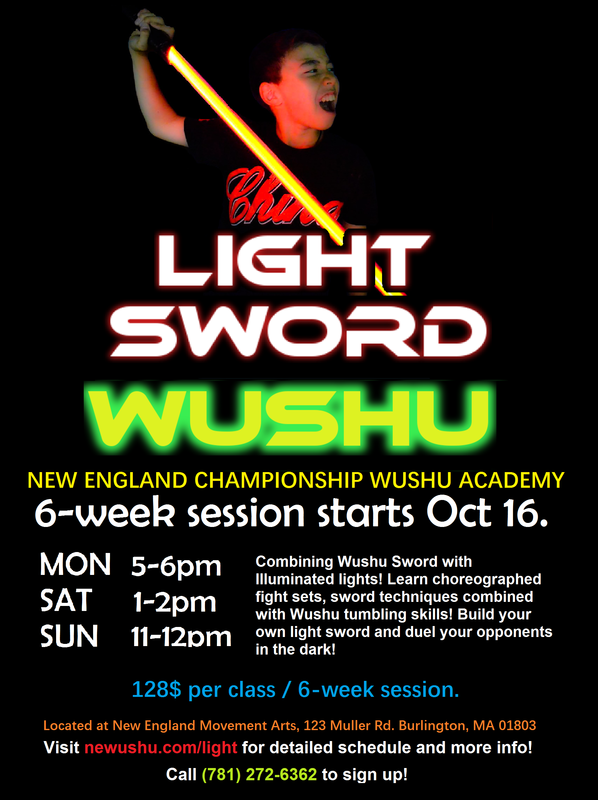 ​Call (781) 272-6362 to sign up! Foam Swords: We will be using foam swords this week in order to emphasize safety and learn the basics of wielding a sword. Light Sword Building: Students will select the style of hilt. ​Foam Swords: We will continue reviewing basic techniques with foam sword. And begin learning sword to sword choreographed dueling sets (Style 1) with these swords. Plastic Swords: Students will have a chance to swing around hollow plastic swords in order to acclimate to the full duel light swords they will eventually build and wield. Light Sword Building: Students will select accessory designs to complement their hilt. Foam Swords: Students will review dueling style 1 and being learning duel style 2. Light Sword building: Students will decide on the color of their hilt. Foam Swords: Review duel set (Style 1). Duel set (Style 2). Plastic Swords: Review Duel set (Style 1). Light Sword Building: Students will decide the color of their light sword! ​Light Sword: Practice duel set (Style 1), duel set (Style 2). Light Sword Building: Students will attach blades during class! Completing their light sword! The Wushu sword trials is designed to test the strength and skills of students. 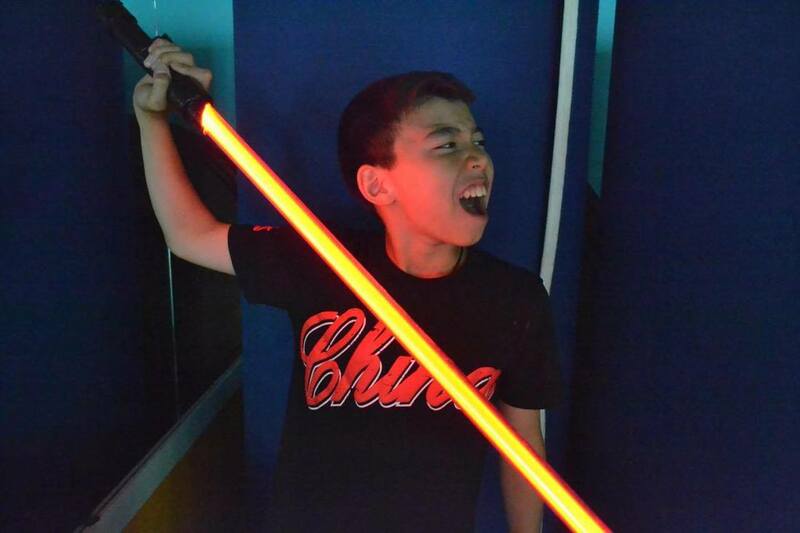 It is their final test in becoming a true Wushu light sword warrior! We will finalize duel set (Style 1), duel set (Style 2)!